Watch it on this short clip here on the satelite very good detail. Many near the Volcano getting evacuated now due to Flooding risks. NO FLIGHTS UNTIL 1PM AT THE EARLIEST NOW. However NATS has said some planes may fly in to Western Scotland/Northern Ireland depending on the situation. Volcanic ash is expected to reach ground level over the UK, starting in Scotland on Thursday evening before moving south over the course of the night. For Public Health: It is ok to go outside but if you notice that you start to develop a runny nose, watery eyes of chesty cough you must go inside. If you have asthma you can still go outsidie but bring your inhaler and anything else you need. What We Can Expect: Over night over much of the UK mostly eastern parts we can expect ash to actually fall to the ground. This will be visable on cars or windows on your house. We can expect flights to be off again on Friday. However over Northern Ireland and Western Scotland flights may resume. Whats happening now: Sceintists are up in a aircraft tracking down the ash cloud with special equitment. Its very important to stay on top of the news. 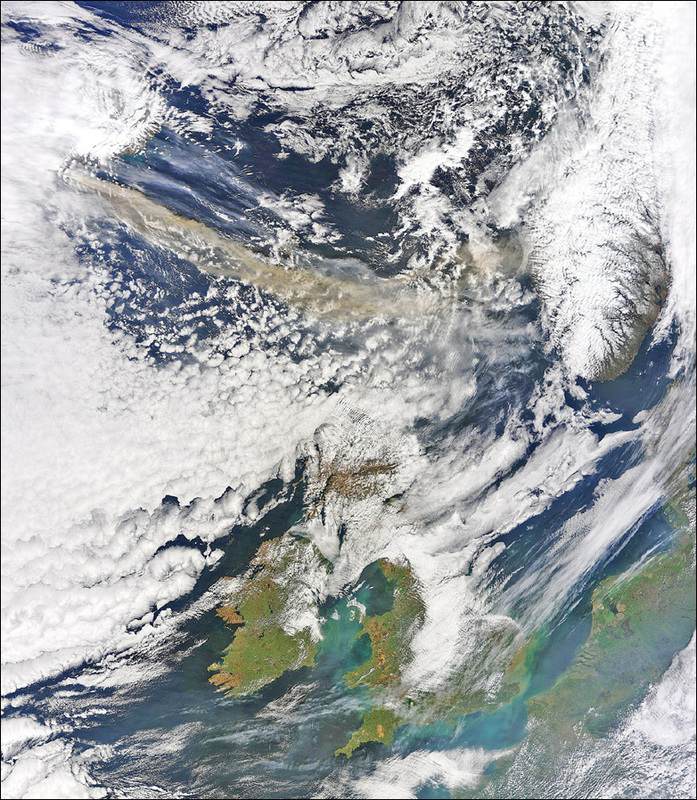 Yeah Eastern parts and especially much of England could see a 'dusting' of ash. Will be interesting what we get here. If the ash keeps flowing into the weekend when the winds are more direct, some more ash might be falling from the sky. Yeah planes could be cancelled all weekend. Most planes cancelled until 1am tomorrow now. sunset was decent here last night , not spectacular as i expected lol. There is some sort of brown/black residue on most cars , but probably cos nobody washes them , lol , but mind u the cars up at the vauxhall garage (where they sell them , brand new , are covered in it). Ive got a bit of a cough this morning but doesn't look like we've had much. Lol Calum I think thats definetly ash thats fallen. Your on the east and in the north of the UK your pretty much asking for it. No ash has fallen here cars are clean and nothing on windows. Sferics are still appearing on the ATD lightning network at the Volcano. Lol, a bit unfair methinks. Very large plume being emitted again from the Volcano. If this continues and when the winds are more direct, i think quite a bit more dust may be on the ground! Yeah planes could be cancelled for a while! Why can't they just put some sort of giant plastic wall over the northen UK to stop the smoke coming here. I still think a very brief window of opportunity may open up later tomorrow but i think late sunday/early next week could be much worse than lately due to more direct winds. Just had a helicopter fly over head albeit fairly low. Might just be haze but against the clear blue sky in the distance there is a light brown/orange tint to the sky. South of Manchester, restriction extended until 1pm. With the ash cloud expected to return later in the day, i think here in the southern half of Britain, we wont have flights until at least Monday maybe even later.